RICHMOND, Va. — Democrats nearly wiped out Republicans' overwhelming majority on Election Day in the Virginia House of Delegates, and are close to a possible 50-50 split in the chamber. A handful of races are still too close to call, but The Washington Post reports that if Democrats win the race in which they're currently leading, there will be a 50-50 split in the House of Delegates. If Democrats were to pick up one more, they could win control. However, there are still provisional ballots that are expected to be counted in the races that are very tight. By Wednesday morning, Democrats had picked up 14 of the 17 seats they would need to retake the chamber for the first time in two decades. "It really is an unprecedented result we're seeing," House Democratic Caucus Leader David Toscano said. The last time Democrats picked up more than five seats was 1975, according to Toscano. This election season, with all 100 seats up for grabs, saw Democrats make their most energetic push in years to gain ground against Republicans. Sixty of the seats were contested by candidates of both major parties, more than in any year for at least two decades. The Statehouse gains were part of a stellar night for Democrats, who swept all three statewide races: governor, lieutenant governor and attorney general. Democrat Ralph Northam beat Republican Ed Gillespie in the governor's race by nearly 9 points. Together, Tuesday's electoral outcomes will be seen as an overwhelming victory for those opposed to President Trump and as a potential foreshadowing of next year's midterm election, when control of Congress and many more statehouses will be up for grabs. In the run-up to Tuesday's balloting, Democrats said they were confident, but many analysts had expected them to pick up no more than a handful of seats. Republicans maintained during the campaign that they would retain their majority. Their years in power helped them build up a significant cash advantage, and they argued that voters in local races care about local issues — not what's going on in Washington. "Obviously, tonight was a difficult night and the outcome is not what anyone expected," Matt Moran, spokesman for the House Republican Caucus, said in a statement Tuesday night. Should there be a shift in power, it could have far reaching policy and political implications. It would change the makeup of committees, and Republicans may no longer be able to block Medicaid expansion. Democrats in Virginia also would have greater leverage when drawing new congressional and legislative boundaries during the next redistricting. "I told Ralph I am jealous" of the legislature he will get to work with, said Gov. Terry McAuliffe, who fought the General Assembly unsuccessfully on Medicaid expansion for four years. It wasn't immediately clear how long it would be before the full results are known. Five seats were too close to call Wednesday morning, according to the AP's count, although Democrats had claimed victory in two of those. They will be eligible for recounts if candidates request them. In one race, only 12 votes separated Republican Del. David Yancey and Democratic challenger Shelly Simonds. Among the Democrats' influx of candidates this year were a record 43 women, many of whom said they were inspired by Hillary Clinton's defeat to jump into politics for the first time. At least nine of the new seats will be filled by women. Among those will be Danica Roem, who is transgender. A former journalist, she unseated Bob Marshall, one of the chamber's longest-serving and most conservative members. Earlier this year, Marshall sponsored a bill that would have limited the bathrooms transgender people can use. Roem will be Virginia's first openly transgender lawmaker. She will also make history as the first openly transgender person elected and seated in a state legislature, according to the Victory Fund, a political action committee that works to get openly LGBTQ people elected. Several other Democratic women also made history Tuesday night: Hala Ayala and Elizabeth Guzman — who both ousted Republican incumbents — will be the chamber's first Latina members, and Kathy Tran will be its first female Asian-American member. 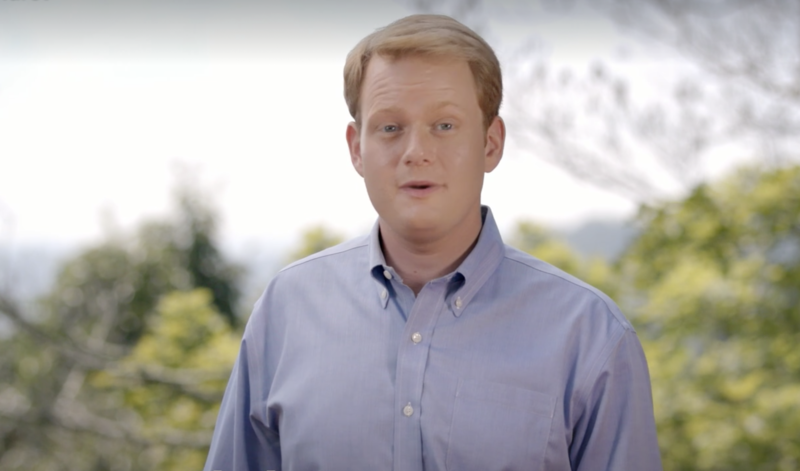 In the Blacksburg area, Chris Hurst, a former Virginia news anchor whose journalist girlfriend was fatally shot during a live broadcast in 2015, defeated a Republican incumbent. After the shooting, Hurst became the public face of the grieving Roanoke station.